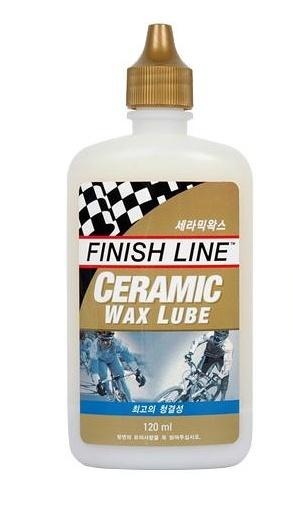 Finish Line’s Ceramic-WAX is an advanced wax-based lubricant featuring nano-sized platelets of ceramic boron nitride and micron particles of fluoropolymer. Ceramic WAX creates a coating with an extremely low coefficient of friction. Every time Ceramic WAX is applied, the ceramic coating is enhanced, ultimately providing the durability of many oil-based lubricants! Ceramic WAX ensures total drivetrain cleanliness without the ‘distance’ compromise that other wax lubricants require.